1. To encourage the growth of a vibrant community of baristas, roasters and coffee enthusiasts in our home town of Manchester and further afield. 2. To widen the accessibility of the speciality coffee market through our events. Our events are at the heart of how we achieve our goals. Throughout the year, Cup North are committed to running educational and social events for our Northern Barista Club members. Additionally, in 2016 we collaborated with Spin festival to bring the local and speciality element of our main festival to their cycling event. 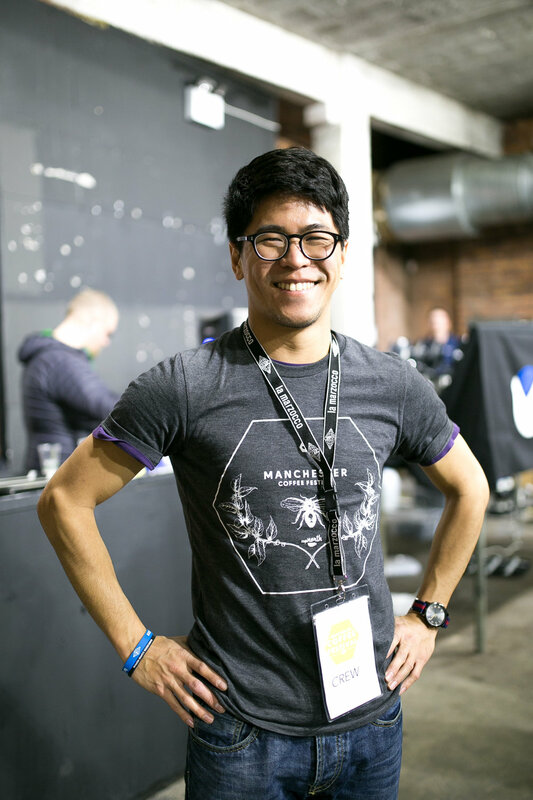 Now in its fifth year, Manchester Coffee Festival is well established as one of the leading speciality coffee events in the UK. We are incredibly excited to be returning to Victoria Warehouse this year on the 3rdand 4thNovember for what promises to be our biggest and best event yet. Cup North was born way back in 2013, the brainchild of self-confessed café lurkers Ricardo Gandara and Hannah Davies. Ricardo is most often to be found running TAKK, one of Manchester’s best loved artisan coffee houses, while Hannah spends her days managing events for the Speciality Coffee Association. Cup North also relies on an amazing team of volunteers who return year on year to make sure everything runs smoothly.